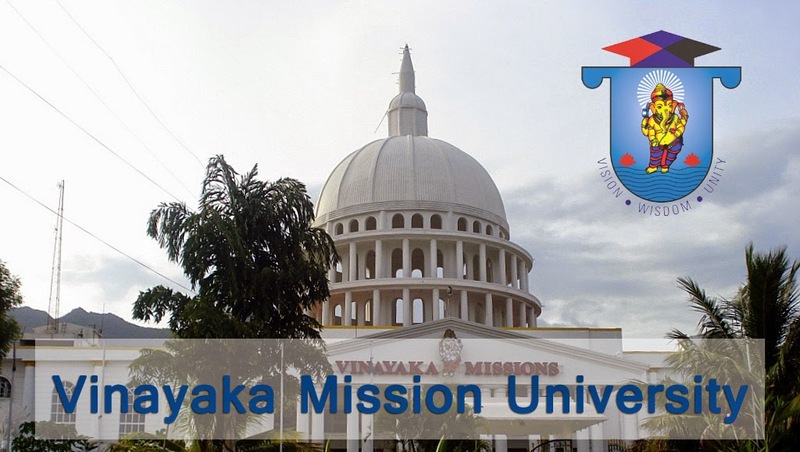 In 2008 according to statutory provisions under the Act no.11, Vinayaka Missions Sikkim University came into existence. Diverse UG &PG programs are conducted here along with Ph.D degrees. This university tries to render excellence in the field of knowledge, wisdom and vision. It has its centre based in India and abroad for providing education all around the world. No matter where you are located you can learn about diverse courses through this university. B A courses in Hindi, English, Tamil, History and Sociology requires an annual course fee of Rs 2500 and one should have a degree of class 12 pass or qualified in any equivalent examination. Examination fees of all these courses are 1150 and require three years to complete. 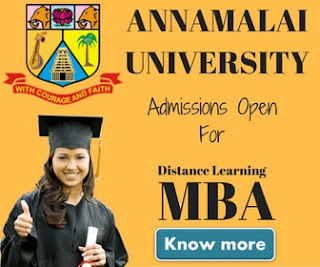 M A courses in English, Hindi and Tamil where English and Hindi MA requires a degree in the same language in part II and should have a degree with Tamil in Part I to have MA in Tamil. The annual course fees for them are Rs 3000 and require examination fees of Rs 1150. These are two year course. B.Com and M.com- it requires an annual course fees and examination fees of 3500 and 1150. B.Com requires 12th or equivalent degree and M.Com requires bachelor’s degree. B.SC in Maths, Physics, Chemistry, Botany, Zoology and Biochemistry needs an annual payment of 3500 and examination fees of 1300. 12th or equivalent degree is must for this course. M.SC in Maths, Statistics, Chemistry, and Zoology requires an annual fee of 8000 and M.SC Physics requires 9000 as annual fee. Examination fees for except Maths and Physics is 1300 and for these too is 1550. You need to have realted degrees and is of 2 years. 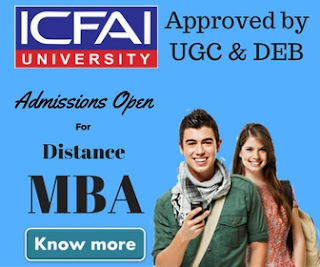 MBA in finance, marketing, human resource, systems and lateral requires an annual fee of 9000 with 1150 as examination fee. They are two years course. PGDIP in Material Management, Business Management, Business Administration, Yoga Science, Journalism and Mass Communication and Marketing Management- they require 4000 as annual course fee and 1250 as examination fees. It is one year course. In IT and CA you need to pay 6500 as annual fee and 2000 as examination fee. M SC in Computer Science, Computer Science Lateral, Information Technology and its lateral requires an annual fee of 10000 and examination fee without lateral is 1300 and with lateral 1850. Lateral courses requires Degree + PGDCA and the other one need degree only. MCA and Lateral MCA is 2 years course and requires 12000 as annual fee and 1600 examination fee. DIP- in Yoga Science and Industrial Safety requires 4000 as annual fee and 1250 as examination fee. It is one year course and needs 12th pass certificate. Bachelor in Library Information Science, 1 year course with 3500 annual fee and 1700 examination fee. Master in Library Information Science, 1 year course with 5000 annual fee and 1700 examination fee. Certificate Program Library Information Science, 6 months course with 2500 annual fee and 1150 examination fee. BBA, 3 years course with 3000 annual fee and 1150 examination fee. e) BCA, 3 year course with 6500 annual fee and 1300 examination fee. B Sc Hotel Management, 3 year course with 10000 annual fee and 1450 examination fee. DIP in Hotel Management & Catering, 1 year course with 8000 annual fee and 1450 examination fee. B.SC Hospital Administration, 3 year course with 8000 annual fee and 1450 examination fee. B. SC Medical Laboratory technology 3 year course with 15000 annual fee and 1300 examination fee. MBA hospital Management, 2 year course with 9000 annual fee and 1140 examination fee. MSC Hospital Administration, 2 year course with 7000 annual fee and 1450 examination fee. PGDIP in Hospital and health Management, 1 year course with 8000 annual fee and 1450 examination fee. DIP in Medical Lab Technology, 1 year course with 4500 annual fee and 1300 examination fee. Certificate Program in Medical Lab Technician, 1year course with 3500 annual fee and 1250 examination fee. DIP in Fire Safety, 1 year course with 8000 annual fee and 1250 examination fee. B Sc Medical Lab Technology Lateral, 2 year course with 15000 annual fee and 1250 examination fee. B. Sc General, 3 year course with 3500 annual fee and 1150 examination fee. B. A general, 3 year course with 2500 annual fee and 1150 examination fee.